When my husband and I had our first child, our son, I had to look up the strangely ominous label I’d read on my chart: “elderly primigravida.” With visions of wrinkled babushkas hovering in my already anxious mind, I discovered it was the medical term for a woman who becomes pregnant for the first time at age 35 or older. I was nearly 39. This time, my chart referred to my “advanced maternal age.” Fertility specialists had already warned me I’d nearly waited too long to have children. I’d seen that my risk of delivering a baby with Down syndrome, the chromosomal abnormality my PA was referring to, was now about one in 137, a far cry from the one in 1,667 odds I would have faced if I’d had a baby at 20, when my body was most ready. Funny thing, though, no one, not my doctor, not the fertility specialists, not the worried physician’s assistant, ever mentioned my husband’s age, though he is seven years older. We all assumed he would be able to make healthy babies forever, just like those paragons of virility, Hugh Hefner, Larry King, and the late South Carolina Republican Senator Strom Thurmond, nicknamed by his staff “Sperm” Thurmond, all of whom fathered children well into their 70s. Turns out, we may have all been wrong. Emerging science suggests that men, like women, have a biological clock: the older the father, the greater the risk of infertility and of passing on genetic mutations like autism, schizophrenia, bipolar disorder, and epilepsy. Which raises a tantalizing prospect: Could this knowledge begin to reverse the trend of people starting families later and later in life, alter the priorities of men and women alike, and reshape the way we all live and work? In fairness, medical conditions like autism, schizophrenia, and even fertility are complex. The risk of genetic mutation shown by new studies is still relatively small. And social change usually comes in slow drips rather than sweeping revolutions, as a result of a host of factors converging at once. But that’s where this gets interesting. There are a host of factors converging now, from economic and demographic trends and rapid advances in technology to new studies on productivity and shifting social and gender norms. Throwing the pressure of a male biological clock into the mix could be just one more factor tipping the balance toward change. But first, the science. New studies are finding that men not only experience the same decline in fertility that women do as they hit their mid-30s–a 35 year-old man has half the chance of fathering a child within one year as a 30-year-old–but that as men age, they face increasing risks of passing along genetic mutations that result in neurological disorders. The latest news from a study of autism published in Nature hit like a bomb. Researchers found that while a 20-year-old father passes on an average of 25 new genetic mutations, a 40-year-old father passes on about 65 mutations. Reaction to the news has ranged from widespread unease to a certain giddy schadenfreude among some feminist writers. At a neighborhood gathering, a friend who’d had his children later in life agonized about whether his children’s health problems were really all his fault–wracked by the kind of guilt that I’d only seen before in my women friends. But rather than ask the larger questions about why men are delaying childbearing in the first place and whether that could change, some of the proposed solutions are to simply lean on technology: Bank your sperm for later use, advised an editorial accompanying the Nature study. “Freeze your eggs!” became the clarion call on the web and social media in the days after the report was released. If, as evolutionary biologists have argued, women choose older mates because they are better providers for their children, could the new science, coupled with the rise in education and earning power among young women, throw that old calculus off? What if financially independent women decided that taking fewer risks with their children’s DNA was worth more than a stable provider? Would we begin to see shifts toward more gender equity at home and at work? In recent decades, the age of first marriage and the age of first births have been rising for both men and women. But men are delaying childbearing because women are delaying childbearing–as I did–in large part to finish their educations and get launched on careers. The workplace can be a punishing place for someone in her 20s with a lot to prove, and a management structure designed to make you work long and hard to prove it. Add to that a load of student loans to pay off, the desire for financial stability, and a prevailing philosophy that having children is a private responsibility which thus does not require social supports like paid parental leave and affordable childcare, and you have a perfect recipe for delay. Working as a journalist in my 20s, I knew virtually no one who was taking time out to start families. We feared that once we fell off the steep and narrow career ladder we were climbing–which was harder for a woman to get on in the first place–we’d never be able to get back on. So we worked long hours well into our 30s. Aided by advances in contraception, we put off having kids until we couldn’t any longer without facing what Harvard economist Sylvia Ann Hewlett calls the “creeping non-choice.” And it wasn’t just professional women staring down their biological clocks. From 1970 to 2006, the proportion of first births to women 35 years and older increased nearly eight-fold. By the time we could wait no longer, many of us needed the help of technology. Though advanced reproductive technology, or ART, has been around for a while, surveys show that most of us don’t realize that it can’t outsmart an aging body. In 2009, for instance, only 36 percent of all ART cycles resulted in a live birth. And most of those were to women under 35. Delay means fewer babies altogether. The U.S. fertility rate has been dropping in recent years, with the steepest decline among men and women with some college education, to about 1.1, which is lower than the countries with a fertility “crisis” like Japan, Spain, and Italy, far below the 2.5 level for U.S. women with no high school education, and lower than the 2.1 level required to replace the population. 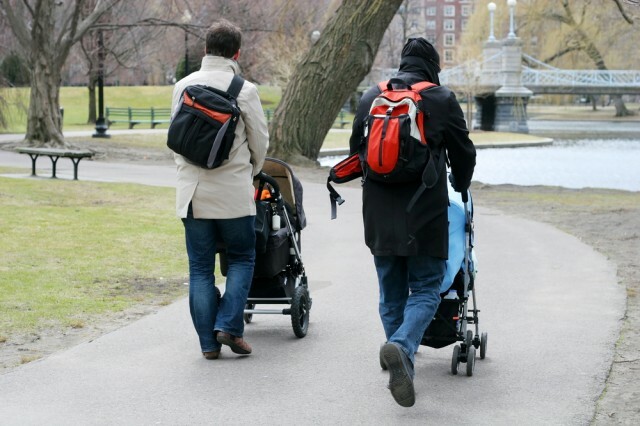 Scandinavian countries like Sweden, where parenthood has also been delayed, actually have among the highest birth rates in the developed world, the result, said Indiana University sociologist Linda Haas, not only of supportive family policies, but flexible workplaces and a sweeping commitment to gender equity, which makes it easier for men and women to have both meaningful work and quality time at home. The American workplace, meanwhile, is still designed to reward the kind of Ideal Worker who doesn’t exist anymore, if he ever did–a single breadwinner with no family responsibilities and no desire for a life, someone who is ready and willing to work 24/7 for 40 years straight. Could a ticking male biological clock take on the Ideal Worker and reshape the workplace? Perhaps not on its own. Perhaps not anytime soon. But it could be part of a “cresting wave” of change, said Ellen Galinsky, who studies workforce trends and directs the Families and Work Institute. Galinsky has found in recent years that both men and women report they want more time for life and flexible hours, autonomy, and engagement at work. More men are reporting a desire to be involved fathers and feeling just as much or more conflict between work and home as women. Galinsky said some enlightened workplaces are responding to a shifting economy, aware that the most productive, creative, and healthy workers aren’t necessarily the ones with their butts glued to the chair in the office for 10 hours straight. Younger workers with a less tethered vision of life (less tethered to one career, one office, to a landline phone) may be as powerful a force as any scientific evidence for rethinking how and at what age people balance work and family. Gen Y’s expectations for a more fluid workplace are pushing against old norms. “It’s very clear, if there’s any generational difference I see in our research, it’s that young people want whole lives,” Galinsky said. Leslie Zaikis, herself a member of Gen Y, left corporate America to become one of the first employees at the start-up Levo League, a Gen Y networking site. She points to surveys that show Gen Y men and women value flexibility over pay, would rather be unemployed than work in a job they hate, expect to change jobs often, are willing to take risks, and expect to work within a more democratic organizational structure, one where giving their regular input to the CEO is not unheard of. They want to be passionate about the work they do, make an impact, Zaikis said, and, most importantly, have a life at the same time. Zaikis herself works flexible hours, taking time to train for half-marathons, and focuses on the quality of her work, not when and where she does it. “Will there come a time when we do listen to our biological clocks and have children earlier? Yes,” she said. Both men and women in Gen Y are already eschewing “prestige” firms and instead seeking out start-up and tech companies with a “cool factor.” These companies, she said, have already begun emphasizing working smarter instead of valuing face-time and long hours. In the end, I was lucky. I have two beautiful, healthy children. And I hope, as studies have found, that being an older parent has made me calmer, more patient, and able to spend more time with them. But I’d like to imagine that the future for them will be different, more forgiving, where choices about how to work and when or if to have children and how to share caring for them with their partners are real choices, not dictated by outdated workplace culture or social norms. I’d like to imagine that their career paths could look more like winding trails across a broad field with all sorts of interesting, rewarding, and profitable places to go at different times and at different paces rather than one narrow ladder to be scaled at full speed at any cost. I imagine them in smart workplaces that understand that people who live well, taking time for family or to go canoeing or to play the violin, actually do better work. Will the male biological clock be enough to get them there? We’ll see. Brigid Schulte is a Schwartz Fellow at the New America Foundation and a Washington Post staff writer currently on leave to write Overwhelmed, a book on time pressure and modern families at work, at home and at play, to be published by Sarah Crichton Books/Farrar Straus and Giroux.